Francis Snoding of LTS Tax Limited, and the Tax Sub-Committee for Guernsey Society of Chartered and Certified Accountants (GSCCA), is interviewed by Locate Guernsey. LG: What sort of questions are you currently being asked by individuals looking to move to Guernsey? For example do individuals ask how they can become Guernsey resident? FPS: Yes and my answer depends on what they mean by Guernsey resident. If they mean can they live in Guernsey, this is relatively easy. Any UK or EU citizen can move to Guernsey immediately and live in a property that they have bought or rented, although they would need to be mindful as to whether they have rights to live in local market, otherwise it will be an open market property. LG: Presumably the question regarding Guernsey residence leads on to the tax test of residence? FPS: Yes, the question as to how an individual becomes Guernsey resident is usually tied into their tax status in Guernsey. My answer generally summarises the basic rules for becoming a Guernsey tax resident for new arrivals. LG: Is it a difficult process? FPS: There are complexities but in essence it is down to a day count, which means if you are in Guernsey for 91 days or more during a calendar year, you will be Guernsey resident for tax purposes, and for the purposes of counting a day, this is determined by where the individual is at midnight. There are a few forms to fill in but it is a relatively straightforward process. LG: So for individuals that are present in Guernsey for 91 midnights or more, they are subject to Guernsey tax at 20% on all of their worldwide income? FPS: That is generally correct, although some individuals who broadly spend less than 182 days in Guernsey and spend 91 days in another jurisdiction can be classed as “resident only”. This means they are not charged to Guernsey tax on income arising outside of Guernsey, but are subject to tax on Guernsey source income only, subject to payment of a “standard charge”, which is in effect a minimum annual payment of £30,000. I should also point out that Guernsey bank interest and most investments are not counted as Guernsey source income, as such for the majority of individuals that are moving to Guernsey in this category, £30,000 is the maximum they pay. LG: That sounds quite attractive, so is this a once and for all election? FPS: No, individuals are able to elect in and out of this category on an annual basis. LG: You mentioned income tax at 20%, what are the other Guernsey taxes? FPS: There are none, Guernsey does not tax capital gains, does not have a wealth, death or inheritance tax and does not levy VAT. LG: That is interesting, can you tell me about tax capping? FPS: Individuals who are not “resident only” will be subject to Guernsey tax on their worldwide income at 20%, however this is subject to a maximum annual tax of £110,000 in respect of non-Guernsey source income. LG: What about Guernsey companies, are they subject to 20% tax also? FPS: Guernsey companies are subject to a standard tax rate of 0%. Tax is generally collected when it is withdrawn from the company by a Guernsey resident in the form of salary or dividends. If the company invests or trades in Guernsey property, or is a public utility company then the tax rate is 20%. There is also a 10% rate for banks and fiduciary companies. LG: Guernsey on the whole sounds very attractive, are there any other taxes that individuals looking to be relocate should be aware of? FPS: It depends on the individual and their sources of income. It is possible for individuals to be resident in more than one jurisdiction, therefore even though they may successfully demonstrate they are classed as Guernsey tax resident, they need to be mindful of the tax residence rules and the number of days they spend elsewhere. 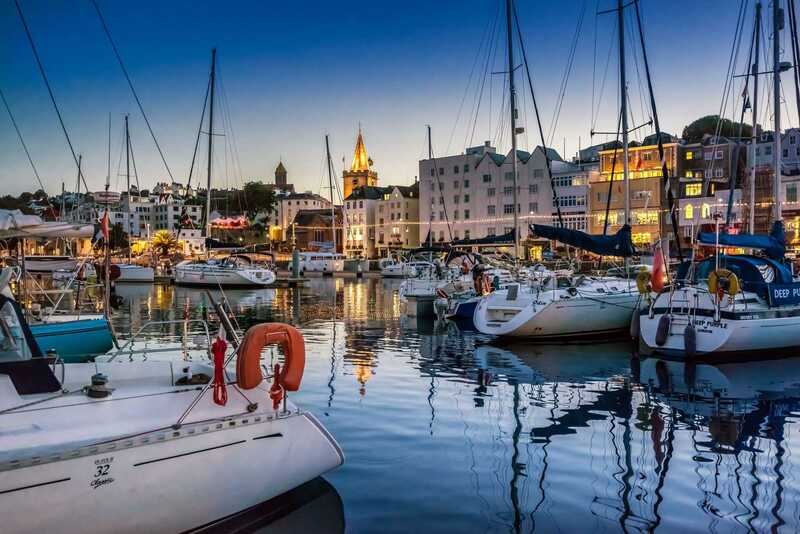 In addition there may be other non-Guernsey taxes to consider depending on sources of income or gains, and whether any other jurisdictions they are connected with levy death or inheritances taxes. The important thing to remember is to speak to their tax adviser or one that deals with the type of tax they need advice on. LG: Is there anything else that makes Guernsey attractive from a tax perspective? FPS: We have a number of tax treaties that prevent double taxation of income, and we also have a new rule being introduced that is likely to be attractive to some new residents. This new rule will enable individuals that are new residents, with non-Guernsey companies that have reserves of undistributed income at the date of arrival, to distribute those reserves within two years of arrival, and for that income to be treated as capital for Guernsey tax purposes and therefore not subject to Guernsey tax.